Beginning your learning journey with Habits of Mind is easy. Knowing where the next steps are can be ellusive, and more challenging. 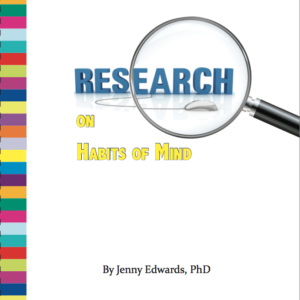 In these pages you’ll find practical guidance that takes you beyond introducing the Habits of Mind and helps you build deep understandings so you can succeed in developing, infusing, leading and sustaining the Habits of Mind in your school. You will learn how to: Develop students Habits of Mind. Go beyond merely naming and requiring students to use the Habits of Mind. Understand what it means to grow and develop more mature Habits of Mind, so students actually get better at them. 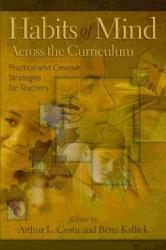 Infuse the Habits of Mind into the curriculum. The Habits are not an extra or an add-on. Learn how to use the Backwards Design process to infuse the development of the Habits of Mind seamlessly into the day-to-day life of the classroom in a way that improves student learning outcomes. Lead the change in your school. Understand the most effective ways to lead your school through the introduction of the Habits and beyond. Recognise the common challenges faced by school leaders and how to successfully get everybody onboard. Sustain the change. Ensure the Habits take root and become part of the norms of your school. Explore ways to instil the Habits of Mind into the culture of your school community. Connect with others. Become a part of the Habits of Mind Teachers Network, access resources, join a learning community of teachers and leaders working with the Habits of Mind and extend your learning beyond the pages of this book. Success is a journey. 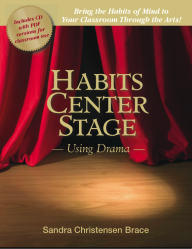 This book gives you the knowledge you’ll need as you move beyond the basics and succeed in building an even more thoughtful learning community with Habits of Mind.